There’s a hack to earning new business leads – and it lies in optimizing your referral traffic. 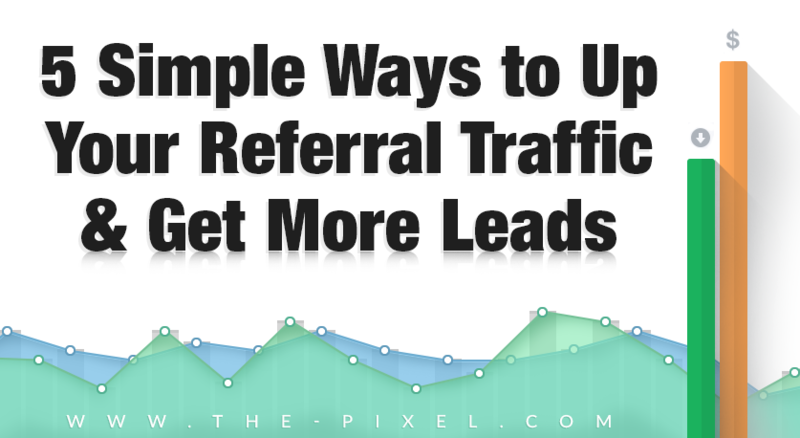 We’re sharing 5 simple ways you can get more leads by referrals. Are you looking for new business leads or a way to increase the amount of traffic to your website? While there are plenty of practical options out there to up referrals and win you leads, one of fastest and best routes to success often goes unnoticed and could be just what you need to make a difference in your business and gain popularity for your brand. So what is this hidden golden opportunity we speak of? We’ve got two words for you: referral traffic. Referral traffic is a term used to describe the visitors to your site that come from direct links on other websites, rather than directly from searches. When someone clicks on a link and is taken to another site, tracking software—such as Google Analytics or HubSpot—counts that visitor as referral traffic. Why is Referral Traffic Important for Business Leads? By increasing the “page rank” of your site, referral traffic can boost your rankings in Google search results. Not only can referral traffic help to achieve so-sought-after high rankings in Google, but it also provides a steady source of traffic outside of search engine hits. By driving targeted visitors to your website, referral traffic can help increase revenue, as the visitors it sends to your site are more likely to become customers and purchase a service or buy your product. Simply stated, referral traffic is valuable in getting more business leads because it sends readers who are interested, potential customers your way. What more could you ask for? Participating in guest blog posts and strategically commenting on others blogs are two easy ways to boost referral traffic to your own website. With external links, author bios, and calls to action, most of which are usually present on blogs, guest blog posts can create numerous opportunities for you to gain referral traffic. When looking to participate in guest blog posts, focus your efforts on websites related to your business—especially those that are considered well-known leaders in your industry. Another way to take advantage of blogs is to post well thought out comments. Not only can this help with SEO, but blog comments can also generate hefty referral traffic. Research shows that about 5.5 billion comments are left on WordPress blogs in a single month. It’s time for you to jump in! Make sure you’re not filling the site with spam—keep your comments valuable. Focus on blogs that allow links in the comments so you can add a link to your own website to generate more traffic. Try your best to be first. You’re more likely to generate more clicks and traffic if your link is at the top of the comments. Discover potential partners who are aligned with your mission and overall goals through tracking your referrals. Then, leverage these partner sites to get more people headed over to your own site. When marketing your own content, you can also partner with companies and other marketers in your locality to generate leads and improve your results. This is also a great opportunity to build beneficial relationships for your business. If the thought of temporarily getting offline and building relationships out in the real world excites you, try sponsoring a local event or speaking at a local event. You’ve got little to lose and could greatly benefit by building your brand and attracting traffic! Additionally, track your referrals and monitor new referrers, as your referrals are bound to change. Then, amplify the new referrers on your own channels to help your site traffic, brand awareness, and conversion rates. Social media marketing is powerful. If you’re trying to drive traffic to your site and get more leads, social media is an excellent way to generate more exposure for your business. According to Social Media Examiner, a whopping 75% of marketers found their website traffic increased as a result of their social media efforts. Every time you participate in a social network (such as tweeting, sharing, liking, or pinning a piece of content), you create an opportunity to drive referral traffic back to your website. Additionally, this increases the likelihood that your content will show up at the top of Google! While not a huge driver of sales itself, being active on social media platforms such as: Facebook, Twitter, LinkedIn, YouTube, Google+, Instagram, and Pinterest (the best social media marketing channels), is a simple way to score more traffic and leads and develop brand affinity. Looking for an even easier way to get referral traffic? 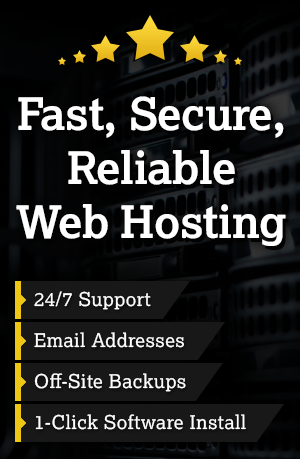 Submitting your website to online directories is one of the simplest ways to go. However, instead of publishing your website to every directory you can find, focus on the ones that are most relevant to your industry or those that generate the most traffic. Publishing your website to online directories is not only a great way to generate quality traffic, but it’s also a way to get some free SEO juice. Review websites are another great source for getting more business leads. Visitors of these sites have already gone through the awareness and consideration stages of a buyer’s journey, and they are ready to commit to a purchase. Now that they are set up to spend, this is the prime time to get your product or service out for consideration as one of their options! A picture is worth a thousand words, which can be very beneficial for your business. In fact, 37% of marketers picked visuals as the single most important form of content for their businesses. Bank on the facts. With human attention spans shorter than that of a goldfish, and since it’s easier for the brain to consume an image than paragraphs of text, visuals may be just what you need to get more leads. Infographics are an even more impressive way to go, as they can help people understand complex data with simple images. What’s the goal with infographics? To get yours shared, liked, and pinned on social media or embedded in others articles. This creates links to your website, and therefore, more leads!